What is a Reiki 4 Master/Teacher? As part of the course, you are entitled to a FREE website upgrade (set up as part of Reiki 3) so that your professional Reiki practise website can be updated! Participating in a Reiki 4 Master Teacher course is a powerful next step with working in the alternative therapies industry. It is a deeply rewarding and life-changing experience may inspire powerful internal changes of both those you work with and yourself, assisting to re-allignment with soul purpose. 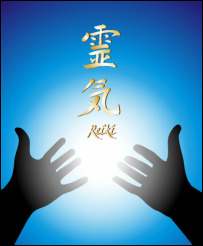 Regardless of whether you wish to teach reiki to other people, or simply use the reiki teaching process as a way to open yourself up for further personal/spiritual growth, Reiki 4 Master Teacher course it is perfect for you. You don't have your included website published if you don't want to. Reiki is one of the most well-know energetic treatment modalities and is often the first modality that we undertake when journeying along our spiritual path. Reiki 4 Master/Teacher Course is the final step along this journey.